The food allergies are more common than we think. Among the best known, the allergy to nuts, lactose, gluten, egg or shellfish. The shellfish allergy can refer only to certain foods or all of these. The crustaceans are marine animals that normally live in the water and are protected by a hard shell, such as crab, prawn, shrimp, lobster, scampi. The mollusks, also marine animals have a softer body and usually within a shell (clams, mussels …). The type of shellfish that frequently produces allergy is the crustacean; followed by mollusks (mussels, clams, oysters) and cephalopods (cuttlefish, squid, and octopus). The allergy can cause mild symptoms (such as hives or eczema) or more severe reactions (such as breathing problems and faints). 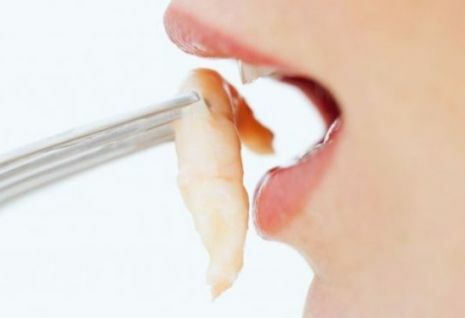 The symptoms of shellfish allergy are hives, itching, eczema, swelling on the face, swelling on the mouth and lips, wheezing, nasal congestion, respiratory problems, abdominal pain, diarrhea, nausea, vomiting, dizziness, fainting, and tingling in the mouth. In the most serious cases, the so-called anaphylactic shock, life-threatening if it interferes with breathing. All food allergies are caused by a reaction of the immune system. The immune system identifies some of the ingested proteins as harmful, causing the production of antibodies to defeat them. We must remember that the risk of shellfish allergy increases if we suffer any other allergies or there is a family history. This type of allergy can develop at any age, but it is most common in adults, being also the most vulnerable women to suffer from it. In childhood, however, the shellfish allergy is more common in children. The only way to avoid an allergic reaction to crustaceans and the mollusks is not to consume them. Most people with shellfish allergy if they can eat other fish. If we experience a mild allergic reaction to shellfish, medications such as antihistamines can reduce symptoms such as rashes and itching. In the case of the severe allergic reaction, usually, emergency epinephrine injection is required. It is advisable; therefore, go immediately to the emergency room. As a precaution you should avoid all products that may contain shellfish among its ingredients, so always read the food label because it can be hidden. In fact, the small traces of shellfish can also cause a severe reaction in some people. Even some people may need to keep away from areas where shellfish are just prepared or cooked.